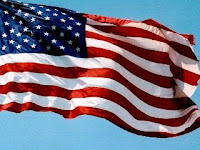 July 4th Meeting at Eastern cancelled due to holiday. Happy 4th! Sorry. We know that we only meet once per month at Eastern but the Fourth of July would probably not be well attended. See you at Eastern Next month and don't forget us the second Saturday of the month in Wexford (Alliance Office) and the Third Saturday in Mt. Lebanon (Outreach offices). 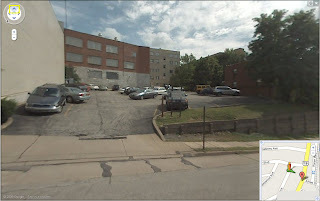 At our newest location for meetings (666 Washington Road Pittsburgh, PA 15228) there is a parking lot around the back. You will find a walkway from the back parking lot (Florida Av) that will take you to the front of the Outreach Building on Washington. The arrows on the picture show you where you come out. The other picture shows you the back of the building. You can take Washington Rd to Cedar To Florida for example. See New Meeting Schedule below. Meeting this Saturday will be only one this month at Alliance Office. Our new meeting schedule allows for one meeting each month at each of our three locations. We had a great turnout, eleven parents, at our last Wexford meeting. Thanks to all of you who have made the Wexford meeting a success. We have enjoyed a nice mix of veteran PSST parents and newer members. Starting this month in June we will be adding a Saturday Morning Meeting in Mt. Lebanon and altering the meeting schedule for our other meetings. Thanks to Outreach Teen and Family Services for sponsoring our new meeting location! First Saturday Each Month: Eastern Probation office in Wilkinsburg. Second Saturday: Alliance Office in Wexford. 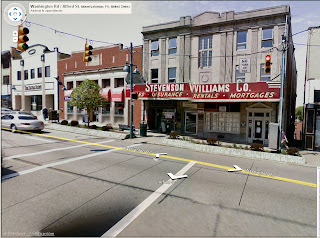 The door to Outreach is right underneath the Stevenson Williams Co. sign, about the middle of the building. Click on the picture to the right to be connected to Google Maps. 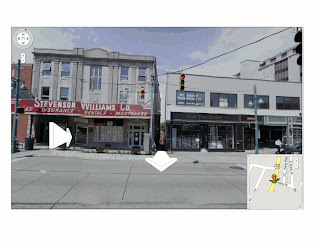 We have also added this location to our other two located on the left margin of this blog. Outreach has a nice set of offices on the second floor. We have a very comfortable room to meet in and access to making coffee. Our first meeting at our new location is scheduled for June 20th. Same time as our other meetings: 9:00 AM to 11:30 AM. There is parking around the back of the building and a walk-way from the back to the front so that you can still enter through the front door.